“Thrive With the Y” Event for Metropolitan Milwaukee YMCA | Hupy and Abraham, S.C. 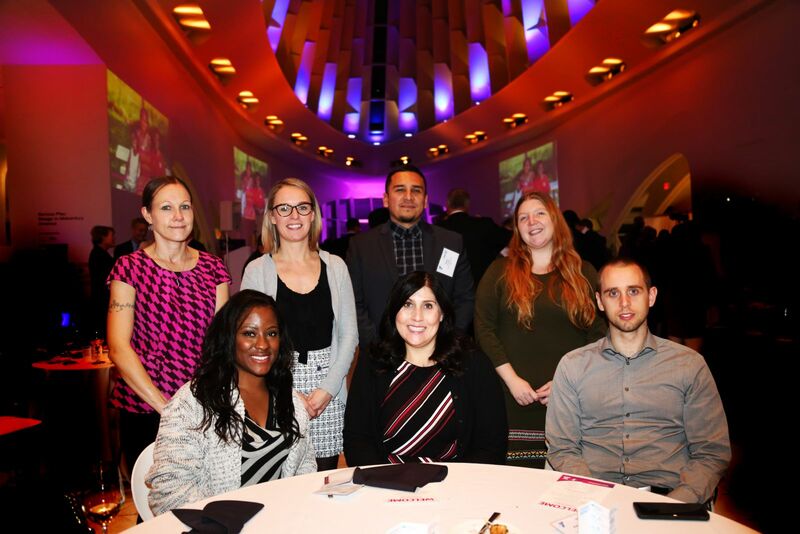 Hundreds of local citizens gathered at the Milwaukee Art Museum to celebrate 160 years of the YMCA of Metropolitan Milwaukee on November 7, 2018. The fundraising celebration event, hosted by the YMCA, took time to reflect on the accomplishments the organization has accomplished since its inception. Hupy and Abraham was a sponsor of the event that had employees present. After a speech by Mayor Tom Barrett, there was a program comprised of staff and clients of the YMCA. Among this was a presentation of several awards given to those supporting various missions of the YMCA, from volunteering to social responsibility, healthy living promotions and youth development efforts. Stephen Kearney, a local high school student and participant of the “Miracle League of Milwaukee” group, shared a message for the event ‘s attendees. The Miracle League believes that everyone deserves the chance to play baseball, and allows all children, regardless of ability status to enjoy the sport. The group plays on a custom-designed field that is created to be as assessible friendly to accommodate all types of people. Carrie Wall, YMCA President and CEO, shared that because of the YMCA, everyone is able to have an opportunity to better themselves. Nine hundred employees statewide are dedicated to upholding the organization’s mission. The “Thrive with the Y” campaign is what the 2018-2021 strategic initiatives are focused on. By 2021, double the number of people the YMCA positively impacts through youth development, healthy living and social responsibility. Since 1858, the YMCA has spread its vision of programs that build healthy spirit, mind and body for all. Hupy and Abraham has been a longtime supporter of the YMCA’s annual Martin Luther King Jr. Celebration Breakfast, which honors the late civil rights activist.